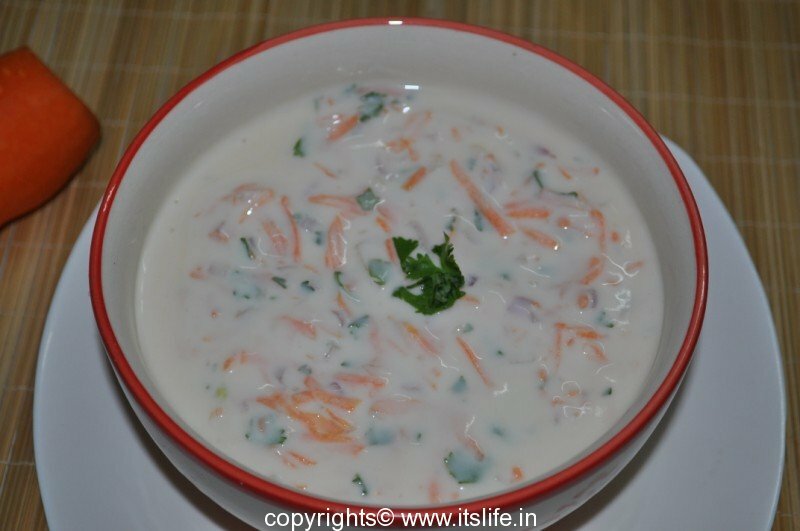 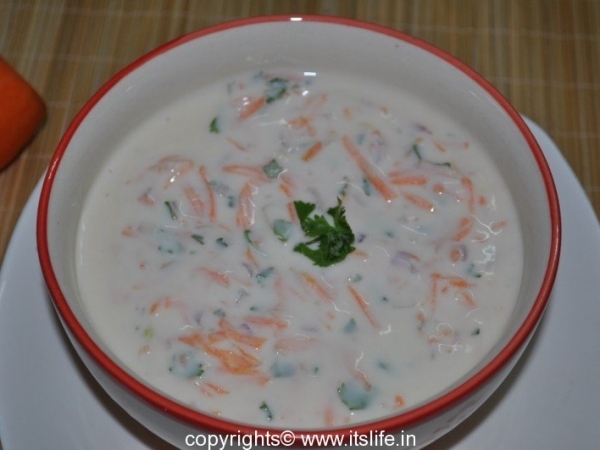 Carrot Raitha is very easy to make and delicious to relish. 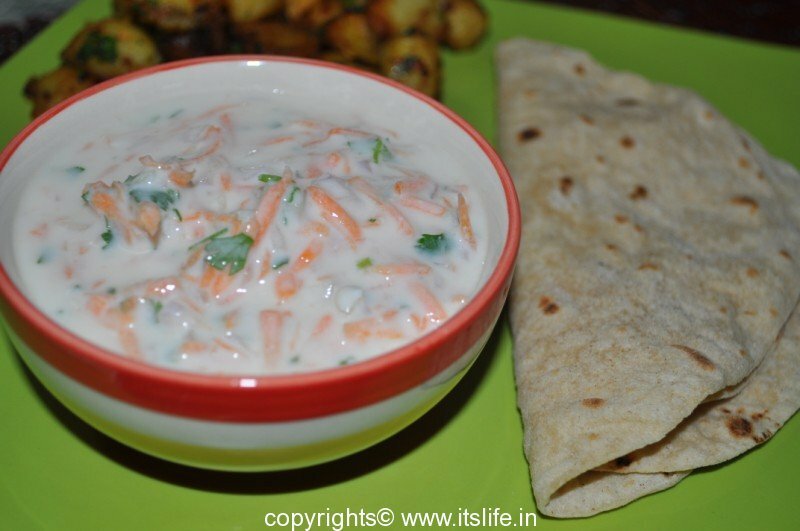 Peel and grate Carrot. 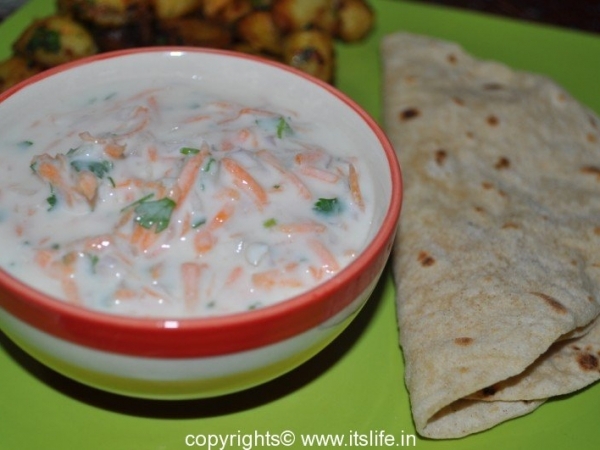 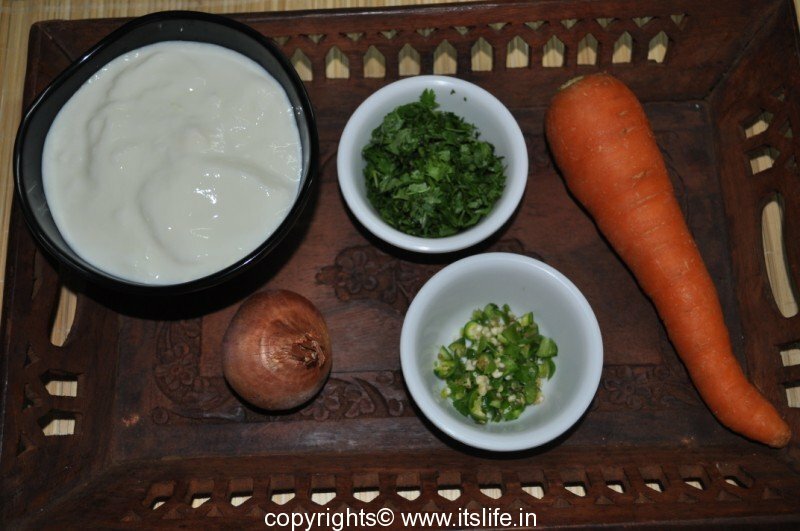 Mix everything together in a bowl and serve Carrot Raitha with your choice of Indian Bread. 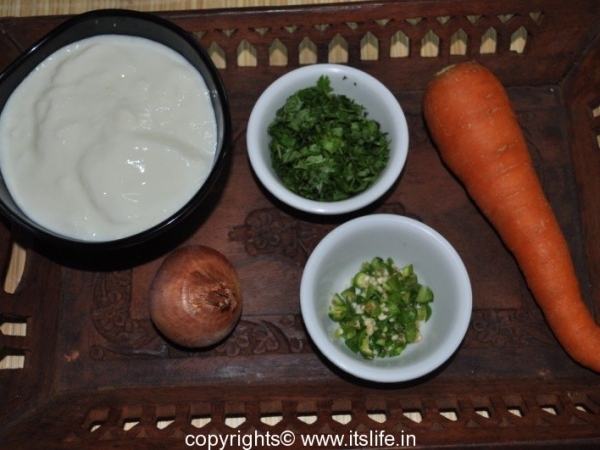 Sprinkle some boondi and sweet chutney and relish a low calorie evening snack.